About Tracy T. Message Tracy T.
We were together for a day and a half ( wish it had been longer) I have visited and toured many wine regions— this. Informative, professional, and oh yes - the wines.was the tops. Tracy did a wonderful job in matching my interests and then providing top notch recommendations. Tracy took us on a great day out! Beautiful locations. She was very accommodating of the fact that we had 2 tired children. She was friendly, informative and gave us the perfect amount of free time at each location. We had a lovely lunch together in Flavigny which we would never have tackled on our own without speaking French. We learnt so much in our day together. A must do tour! Tracy has a busy life apart from her guiding activity. She handled the latter competently with us but not with degree of animation and enthusiasm we have experienced in similar situations elsewhere. Fifteen minutes at the start spent on introductory discussion would have been good. We did not consider the total experience particularly good value. Our tour of Burgundy was excellent. Tracy accommodated our late arrival into Beaune by adding a tasting the following day. She was extremely knowledgeable about the region and its history and provided us with access to a couple of great winemakers. We were very satisfied with our experience and highly recommend this tour and Tracy. TOUR GUIDE RESPONSE: Hi Shellie, Thank you for your kind words, it is lovely to hear that you really enjoyed your two days and I am glad that we achieved your objectives. Tracy was very knowledgeable about the Medieval Burgundy area, great tour all around! My wife and I were very pleased with the tour. Our guide was extremely knowledgeable and provided a comprehensive overview of the Burgundy wine region. We learned far more than anticipated. The pace of the tour was comfortable and we were given access to a number of excellent wineries where we met some very gracious owners. Great first visit to the region. I had not pre-planned places that I wanted to see which I think was best - there was so much there that I would have been disappointed had I missed something! Tracy was a great guide and modified our outing based on my interests - which was greatly appreciated. We traveled around the Beaune area in a very comfortable vehicle and ended the visit in the town center of Beaune. TOUR GUIDE RESPONSE: Hi Melody, Thanks for the feedback, I'm glad you enjoyed our day and your stay in your little french apartment without a corkscrew! You'l be pleased to know that it is even colder now than when you were here but I will be heading back to Chateauneuf for another of those delicious hot chocolates! Tracy managed to check all my wish list items for my dream tour in Burgundy. The wineries were varied and the history lessons along with the wine facts were right on target. Tracy had great suggestions on buying wine area maps. The whole day was very relaxed and we never felt rushed at any winery. Tracy took the time to show us the different land parcels and stopped often so my husband could take all the photos he wanted. The best part was she knew how to arrange for the wine to be shipped back to USA. TOUR GUIDE RESPONSE: It was lovely to meet you Dawn and I thoroughly enjoyed our day, it was great to have the company of a lady that knew her wine and knew what she liked. 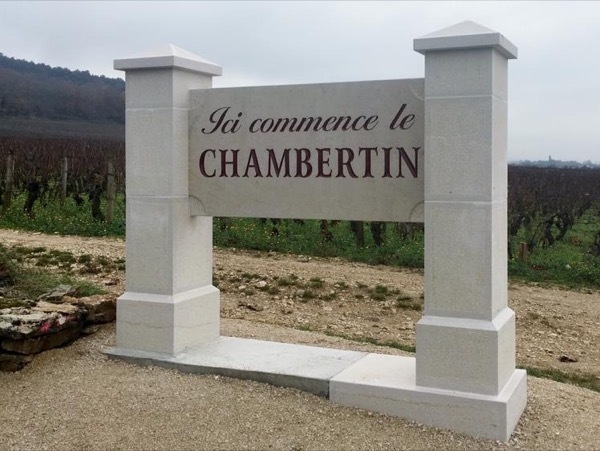 We had booked both the wine tasting tour and the historical tour of Beaune on two consecutive days and Tracy contacted us ahead of time and suggested combining the two over two days, in other words some history and tastings on each of the two days. This proved ideal as we were learning the nuances of the Burgundy wine district and lunching and tasting on both days. Tracy is very knowledgeable on both the history of the district and the wine industry.